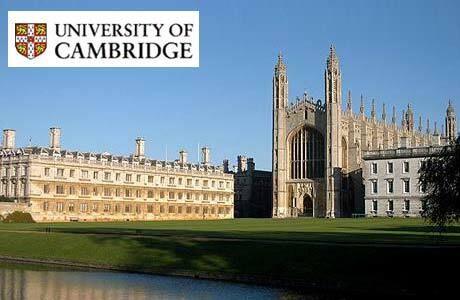 Applications are invited for a postdoctoral scholar position in developmental biology to join University of Cambridge, UK. This position is closed on December 16, 2018. Applications are invited for a Research Associate position in the group of Sebastian Schornack (www.schornacklab.net) at the Sainsbury Laboratory Cambridge University, to carry out fundamental research at the intersection of plant development and plant-microbe interactions. The group studies how and why plant developmental processes impact on beneficial and detrimental microbe colonisation using the pathogen Phytophthora palmivora and arbuscular mycorrhiza fungi. Your project will focus on the functional conservation of mechanisms conferring root susceptibility to Phytophthora palmivora across different monocot and dicot model and crop plant species. The findings will form the basis for approaches to engineer broad spectrum quantitative root resistance to filamentous pathogens. Applicants must have an Ph.D. in plant developmental biology, plant microbe interactions or related fields. Essential requirements for this post are a proficiency in molecular biology/cloning/CRISPR-Cas9, plant transformation via tissue culture, confocal fluorescence microscopy, and RNAseq read mapping/differential gene expression analysis in crop plants. Experience with phylogenetic analyses is advantageous. The successful candidate will be fully involved in the basic research in these areas whilst also writing up their research work for presentation and publication. Excellent writing and communication skills are essential. The post holder will need to work well in a team and collaborate with other researchers. A proven track record of scientific publication (in peer reviewed journals or preprint servers) is required. The Laboratory provides a welcoming and collaborative environment with a wide-range of family-friendly benefits and development opportunities. More about the Sainsbury Laboratory, generic further information for the role and details of what the University offers to employees, can be found at: http://www.slcu.cam.ac.uk/. Scientific enquiries apart from the formal application process should be directed to Sebastian Schornack at sebastian.schornack@slcu.cam.ac.uk. Start date: The post is available from January 2019. Fixed-term: The funds for this post are available until December 2020 in the first instance.